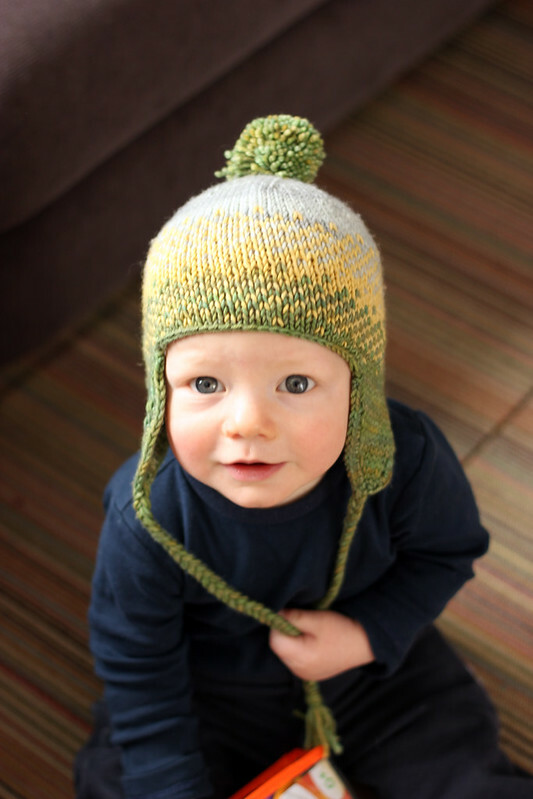 April 01, 2014 in "Rowan", "chris", "hat", "lucky penny baby"
A hat for Rowan that had earflaps for warmth and ties for the “stay-put” factor was essential throughout the colder months. 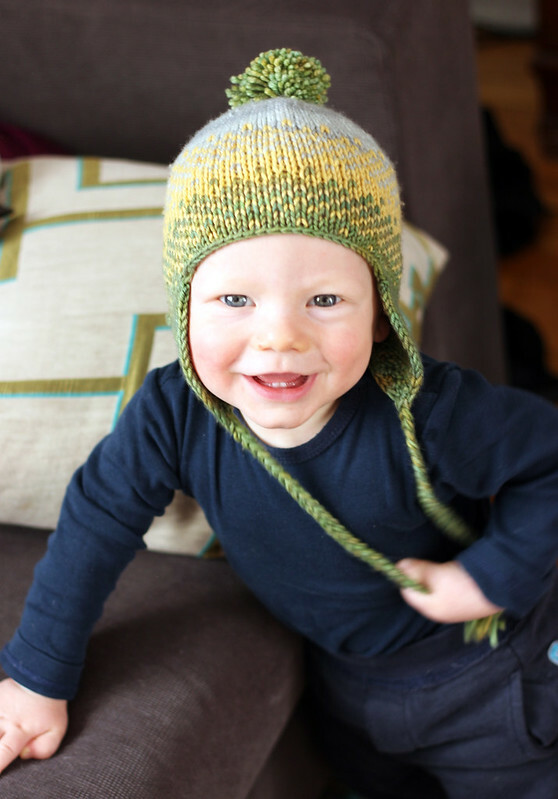 Rowan wore this fun and colourful hat all winter. Chris and Rowan have coordinating hats, and when they wear them together it’s almost too cute! The pattern is sized from babies all the way up to full grown men. The colour possibilities are truly endless, so have fun with it! 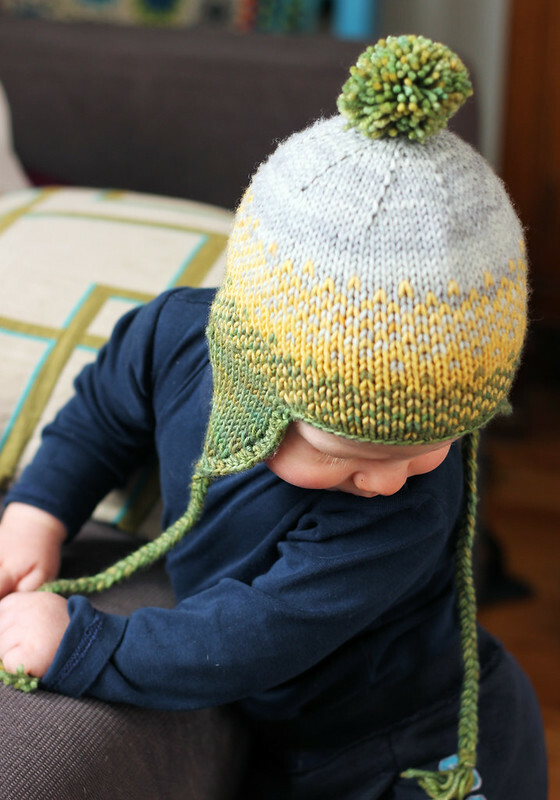 This hat has very quickly become my go-to baby gift pattern. The ear flaps, the pompom, the colour possibilities! It's such a fun knit. I also think that the fact that it comes in multiple sizes is pretty great. 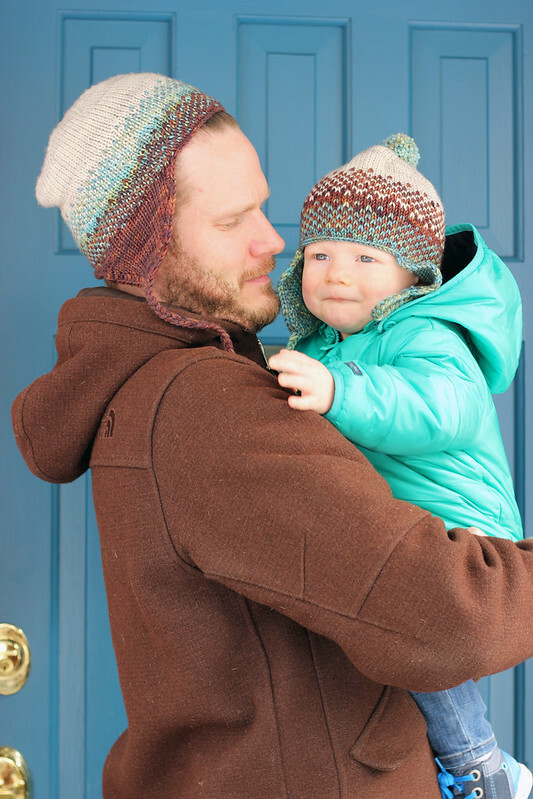 You can make a coordinating set for a father/son duo, or for a pair of siblings, heck, the whole family can wear matching Frosted Alpine hats if you want! Chris and Rowan make a habit of posing for adorable photos in hats, see Rowan modelling his Frosted Alpine while it was still a WIP here. What can I say, we're hat people!